A standard GSI3D workflow (Kessler & Mathers 2004; Kessler et al. 2009) was followed for the construction of the cross-sections. 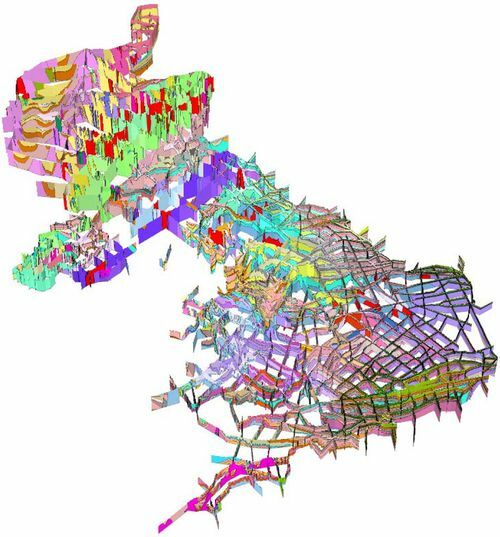 The full network of section lines for UK3D_v2015 is shown in Figure 13. Construction of cross-sections is performed in the GSI3D section window. This displays all the required information including the topography along the section, the bedrock geology at surface or rockhead, boreholes, intersections of crossing sections with the intercepts for individual units, surface traces from existing models displayed as raster backdrops. Structure contour maps are displayed in the GSI3D map window which is dynamically linked to the section window. 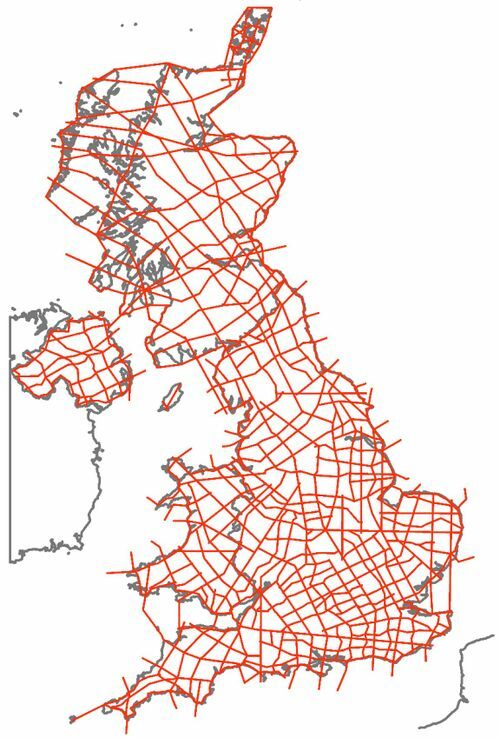 Figure 13 The completed network of cross-sections for the UK3D_v2015 dataset. The geological units are normally constructed as unit base lines drawn in order going down the stratigraphic stack. The sections progressively colour up as the units are added. Workspaces for section construction, including the alignments of all the revised, new and existing cross-sections, were prepared by the BGS data management team. Existing sections were cut and terminated at regional boundaries utilising a specially developed tool for use in GSI3D. Each regional geologist(s) then completed construction of their allocated set of cross-sections and checked them for internal consistency. The interpretations where then reviewed along the boundaries of regions by pairs of geologists to produce a consistent agreed interpretation from which a master dataset was compiled. The entire model was then reviewed for stratigraphic cohesion and consistency. Geologists responsible for individual regions are listed in Table 1. 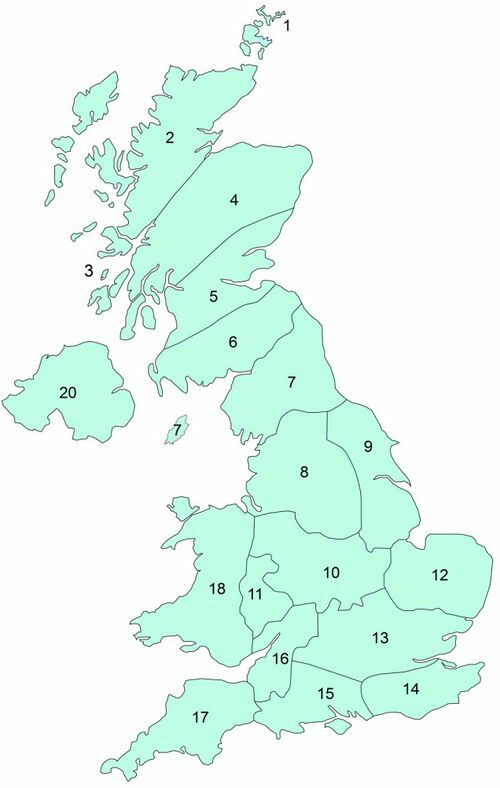 The regional areas are shown in Figure 14 for which regional descriptions are available for regions 7–20 for download from http://www.bgs.ac.uk/research/ukgeology/regionalGeology/home.html. These geological summaries are intended to inform the general public of the geology in each of the regions covered by the model. Figure 14 Areas based on the BGS Regional Guide Series for which regional summaries of the geology have been produced. No regional summaries were produced for Scotland (regions 1–6). Table 1 QA roles and regional geologists for the areas in Figure 14. Figure 15 The revised cross-section framework included in the UK3D_v2015 dataset. This page was last modified on 8 March 2016, at 15:24.